The Samsung Gear S2 is arguably one of the most important milestones in smartwatches this year: it is the first mass produced smartwatch that can work independently from your smartphone in its 3G model. While Samsung officially unveiled the Gear S2 at IFA 2015, up until today, we had no details about its price or release date. Thanks to some inside sources leaking information, though, those details are now showing up: the Gear S2 will allegedly make its official debut on October 2nd in the United States. This is the release date for the regular Gear S2 and Gear S2 Classic, while the 3G version will arrive later on. What's particularly interesting (and disappointing to many) is that the 3G model of the Gear S2, the one that can work independently from your phone, will only be sold in the United States and Korea. So far, we have no details whether this limited availability is due to carrier constraints, and whether you would be able to import a Gear S2 3G from the US/Korea and have it work with an e-SIM in your country, but some comments from Samsung executives suggest that support for e-SIM is still not widespread in Europe, and that's one of the reasons for the limited availability of that particular version. Basically, this puts the Gear S2 on par with the Apple Watch Sport model, Apple's most affordable and most popular timepiece. Which one of the two would you prefer? S2 Classic, day one purchase, have been using Samsung Pay Beta with my GS6 for the last week and a half and it is awesome. Cashiers are always blown away by how it works. Looking forward to paying with the watch now. Great. How is it doing at the old-school credit card swipe readers? IVE HAD MINE FOR 2 WEEKS AND USED IT AT EVERY LOCATION EVEN OLD TERMINALS AND SAMSUNG PAY DELIVERED I WAS ACTUALLY SURPRISED WHEN IT WORKED I DONT EVEN USE NFC EITHER I HAVE IT TURNED OFF SO SAMSUNG IS WINNING WITH THIS FEATURE....I CANT WAIT FOR THE WATCH ITS GO BE AWESOME. The old school swipe reader works amazingly well. I am surprised at how good it works actually. It is faster than Google Wallet NFC, it almost works instantly. I have my NFC turned off actually right now also. I already preordered the classic and contemplating adding the regular one as a sport watch as well. Not sure about Samsung pay yet. Canada won't have it for awhile though so I don't have to decide if it's secure enough yet. Copping this first day, too, my man. Will be my first smartwatch. There are a bunch of video's on Youtube that show it better than I can explain. I have a Bank of America card, so it is part of the beta testing. In about 10 days it will be official and hopefully support more banks. As of right now, it works perfectly. I used it at Walgreens and it was quicker than Google Wallet NFC. What are the advantages of samsung gear s2 ( non 3g model)over an apple watch? well samsung is trying to get the app in ios just like google. That's the whole point of jewelry like watches, to look good, smart or otherwise. Really? The 'whole' point? Someones insecure. Nothing insecure about it. That's what they are for. They certainly aren't for telling time anymore. I am a collector, I know what the market is like and it's just for looks or as an expensive automatic toy basically. They are about as useless or useful as a tie or a suit basically. you can get the gear s for 99 at bestbuy right now, i will tell you the latest update to androidwear has is lasting a very long time 8-10 hours is about 23% and i love texting from it, its second nature now and asking questings. the latest update made it very fluid, and smooth. Doesn't really matter the 3G version isn't coming to UK since many networks don't really care if people tether other devices to their phone. But America is very different with miniscule data caps and insane prices for tariffs allowing tethering so I know I've heard many people getting like 4 different sims for each of their devices and paying hundreds of dollars and still might only get 15gb. I guess Canadians are too cheap to pay for another data p,an like I am. Bluetooth works for me. 3G comes with Snapdragon 400, and has less batterylife than normal bluetooth version which uses Exnos 3250.
what are you talking about? What proof do you have? The samsung site clearly lists the MSM8x26 as the chipset for the 3G model. I am contemplating to get a standalone smartwatch device for its convenience without the need of a phone while using it on running activities. 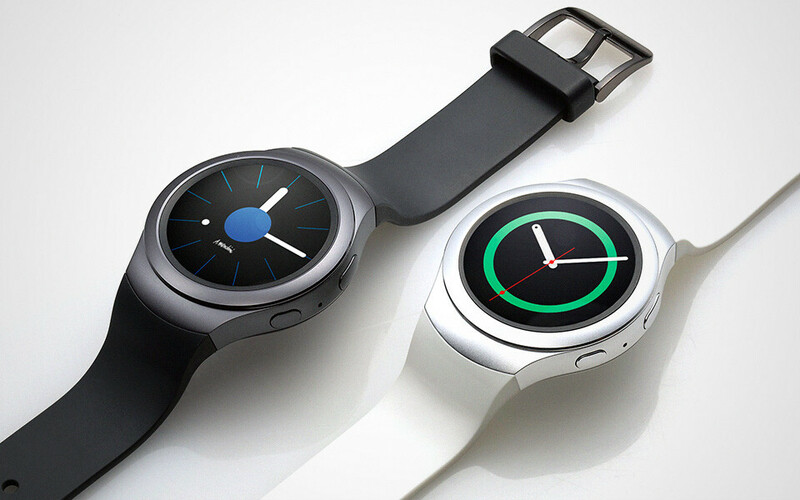 Please Samsung release the 3G version Gear S2 in Saudi Arabia. Tell me about it lol! If you go off of the pricing on the Best Buy Canadian website. The US price should be $300 for Gear S2 & $330 for the Classic. Not everyone is like Apple. Samsung is willing to take a profit cut to give Canadians a fair price despite our s**t dollar. Apple would charge $499 cdn for the gear S2 sport and $550 for the classic if the U.S. Prices were 350 and 400. Or maybe even worse. $899 for the iPhone 6s vs what is the American price again? $649? Besides magazines, cars, and apparently iPhone products(disgusting apple tactics btw)the msrp was never scaled 1:1 based on the dollar value. Each market is different. Sure The North American market is priced more similar than The Asia and Europe markets but it's still not a 1:1 difference. Even with 3G, its not worth more than 299.99 which is the most I would pay. I think they should sell for $249. Stop trying to match Apple prices because we arent going to pay that for a toy. I paid 299.99 for the first Gear and My Gear S. Never again. Its worth $250 at the most. No one is going to install that many app on these. They look cool, but that look isnt worth more than $250. I can buy an even cooler looking watch for half that.